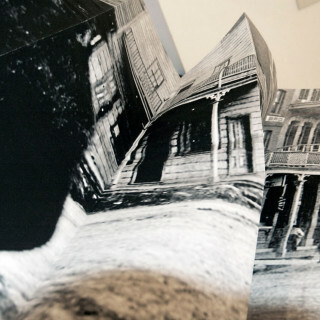 “Documenting the architectural spaces in which she worked has long been a focus for Gammon’s photo-based work. 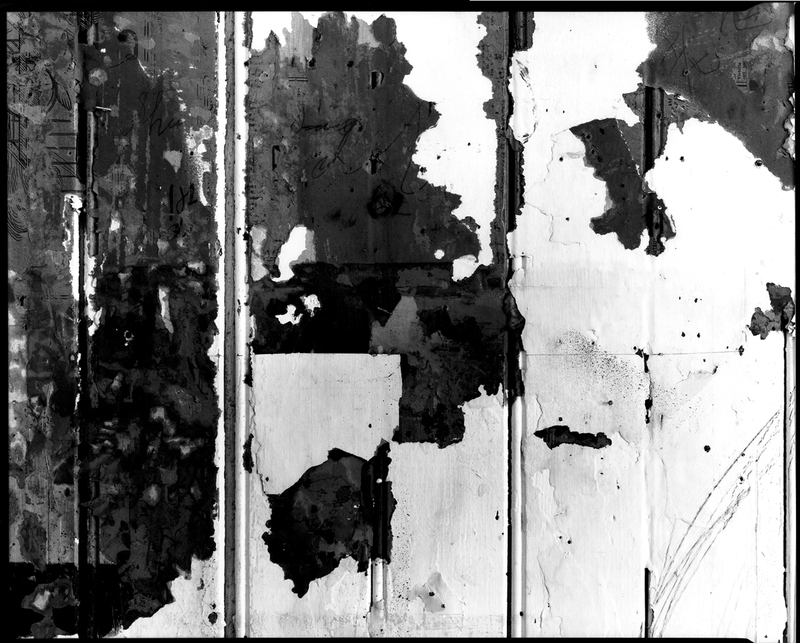 And over the years, in many different series, her photography has cut across disciplines…. Mary Jo Hughes, Director, Legacy Galleries, University of Victoria. 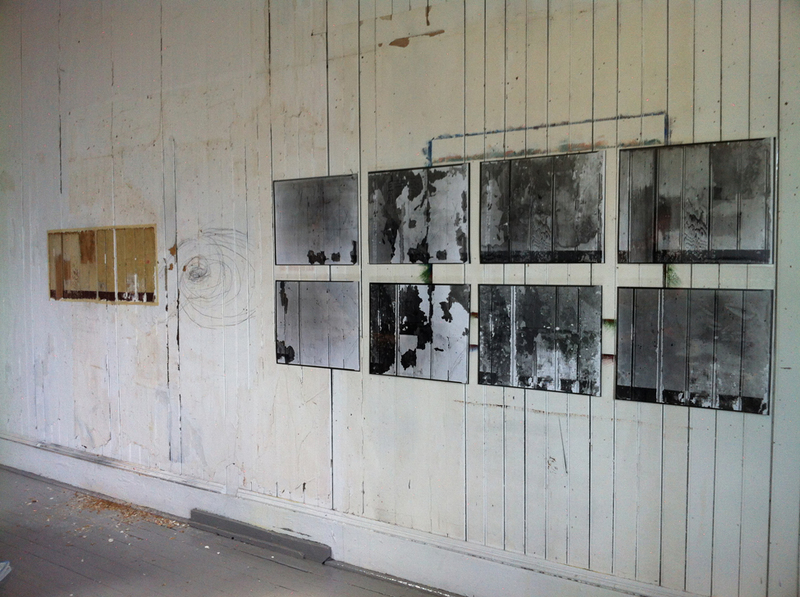 In 2009 Trudi Lynn Smith rented a studio space in Victoria’s Chinatown. I visited. It was then that I re-encountered the studio I had inhabited twenty-five years ago. 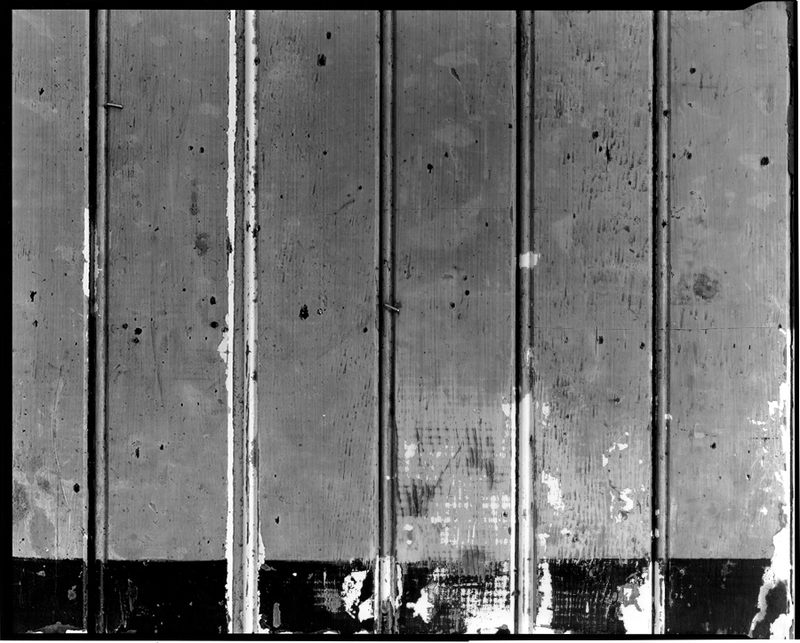 My gaze turned to the long wall on which I had worked; layers of white paint, the mahogany plywood that I had nailed over the wall of narrow vertical pine boards. 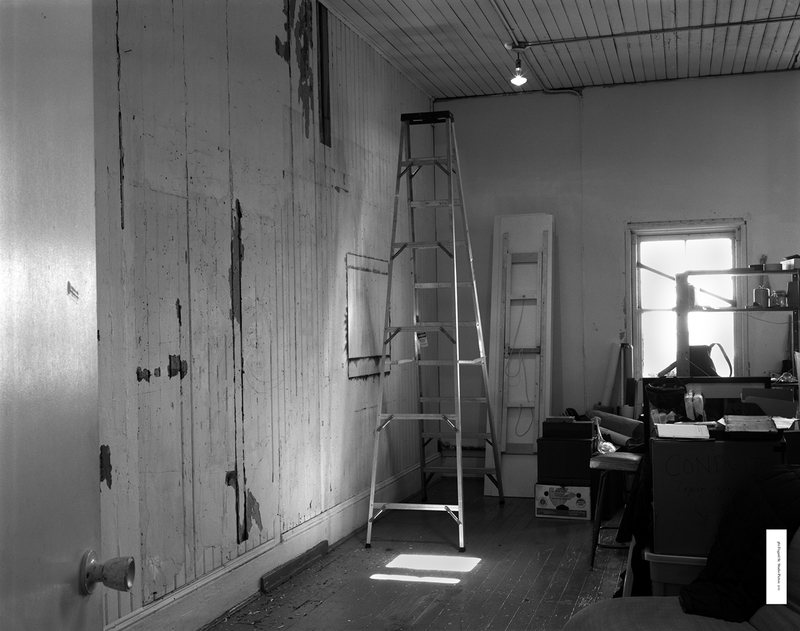 Although 562 Fisgard St. was originally a shrine room and rooming house, the Chinese Benevolent Association began renting the space to artists as part of the re-development of Chinatown in the 1980’s. Realizing that through its layers this wall traces lives over 100 years, Trudi and I decided to use it as a subject of investigation. 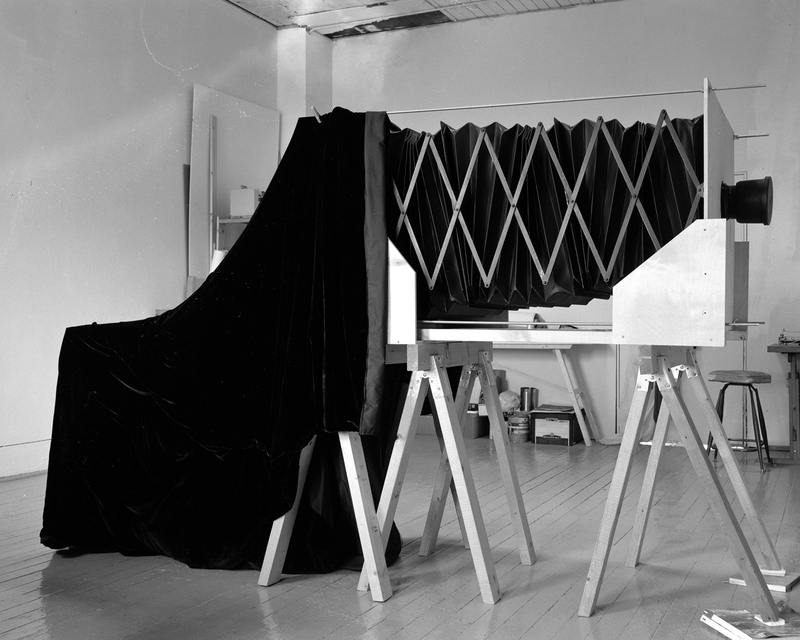 We began our close investigation with the construction of a large format (16” X 20”) analogue view camera (9’ long, 6’ high and 2 ½’ wide). 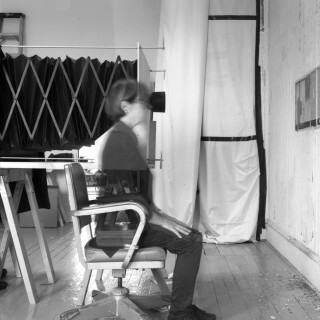 Drawing on photography’s relationship to indexicality, the camera’s lens was focused on the wall so as to expose a 16” X 20” section at exactly 1:1 scale. 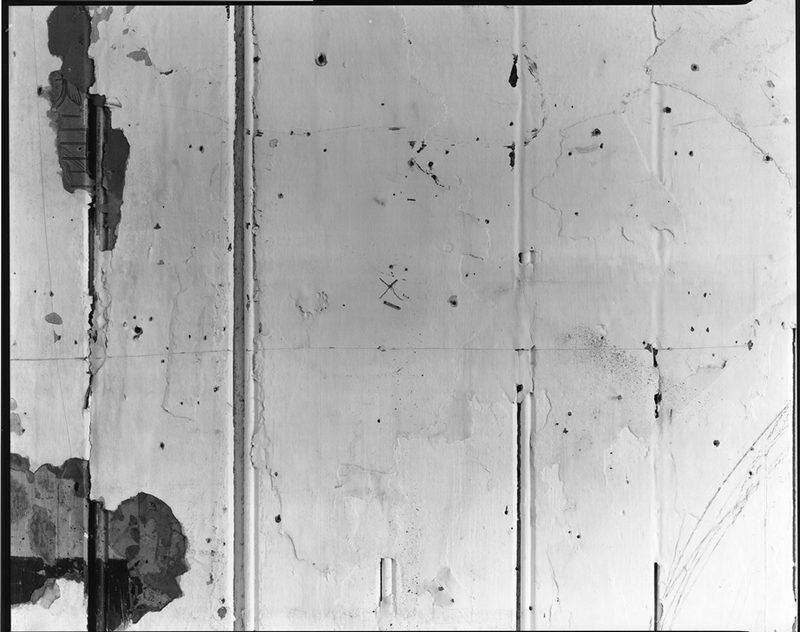 We then proceeded with a process of taking an exposure (25 minutes), then peeling back a layer of the wall, then another exposure and so forth, documenting the layers. 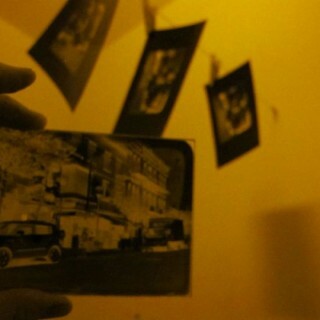 This resulted in 3 series of 16” X 20” negatives and contact prints. Although documented at exceptionally high resolution the peeling process and photographs actually revealed little of the buried history, a history for the most part undocumented and unavailable. We soon realized that the studio itself needed to become the site of exhibition and public exchange for our work and in order to invite this conversation we invited groups of people (approx. 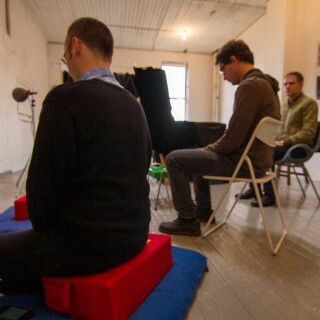 20 in each group) to attend three open studio events called 1:1 (25 minutes). 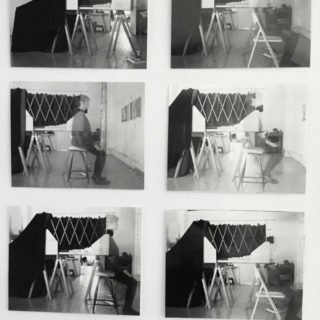 Reciprocity: the Large Camera and the Studio Wall, (Oct. 17, 2015), looked at the relationship between analogue photography and the real; The Long Exposure: Duration, Meditation and the Un-archivable, (Oct. 23, 2015), invited people to the studio to meditate together during the 25 minute exposure and The Artist Studio: Disappearances and Reappearances, (Nov. 1, 2015), looked at the the lives of artists studios. 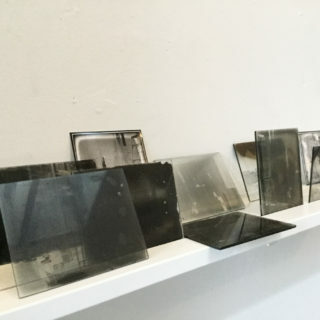 The events brought people into conversation in the studio around a particular topic in the presence of the camera, the peeling and the exposure of the film. 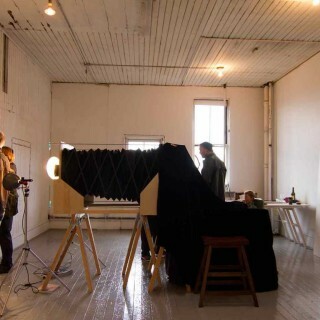 Visitors were attracted to the wall, the artist studio space and the camera and this sparked lively conversation. The experience of going under that black velvet hood of the camera and seeing the image of the wall upside down and backwards projected onto the large glowing glass screen prompted immediate visceral and emotional responses from everyone who experienced it. 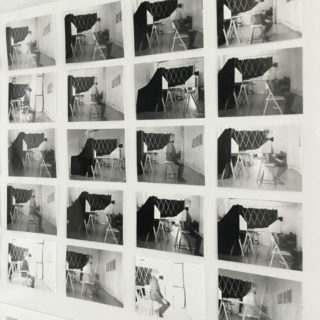 The relationship between the projected image, the actual wall and the black and white photographs provided a lively triangulation regarding photography’s mesmerizing and magical indexicality. 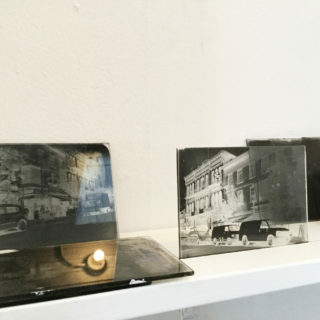 In addition to the camera and the photographs we also researched the process of glass plate photography and created glass plate images of the interior and exterior of 562 Fisgard. 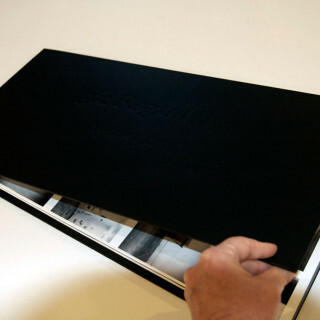 In addition a two volume artist book; Fisgard Volume 1 and Fisgard Street Volume ll, emerged out of the process. I also created a series of photographs of myself meditating while the camera exposed pictures of the wall. Since the initial events, we have continued to invite groups and individuals to the studio to experience the camera and the space.